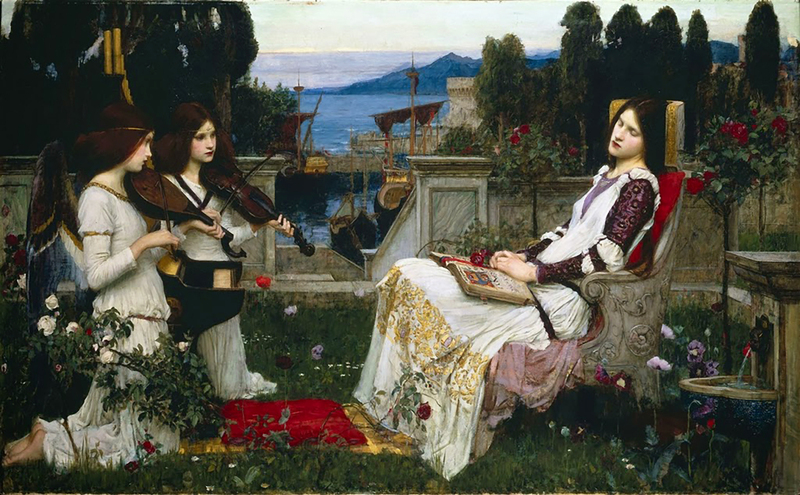 The women who modelled for John William Waterhouse were metamorphosed into exquisite muses of his own romantic vision. 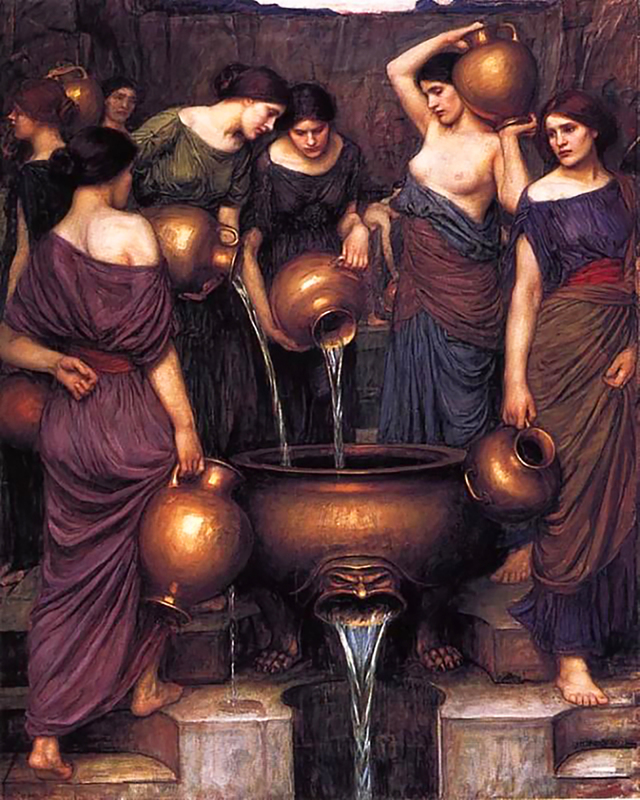 Waterhouse evolved a unique style that captured the essence and purity of female beauty, as well as suggesting the dangers of its allure. 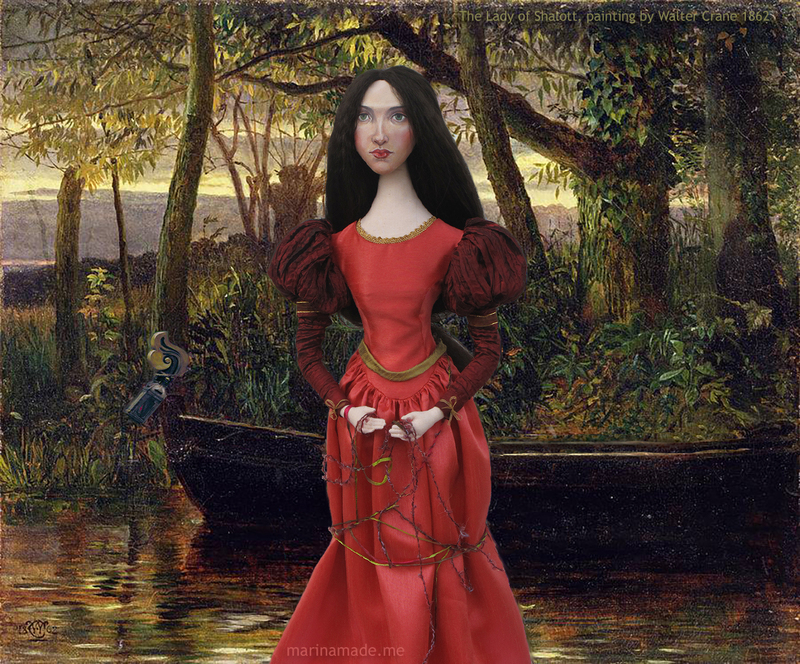 My muse was initially inspired by several Waterhouse drawings and paintings, but I decided on the Lady of Shalott, “I am half sick of Shadows” for the final details. Her face was painted using reference from two of his favourite models, ( who I will discuss later on this post) my aim being to try to catch that distinctive yet elusive Waterhouse look. 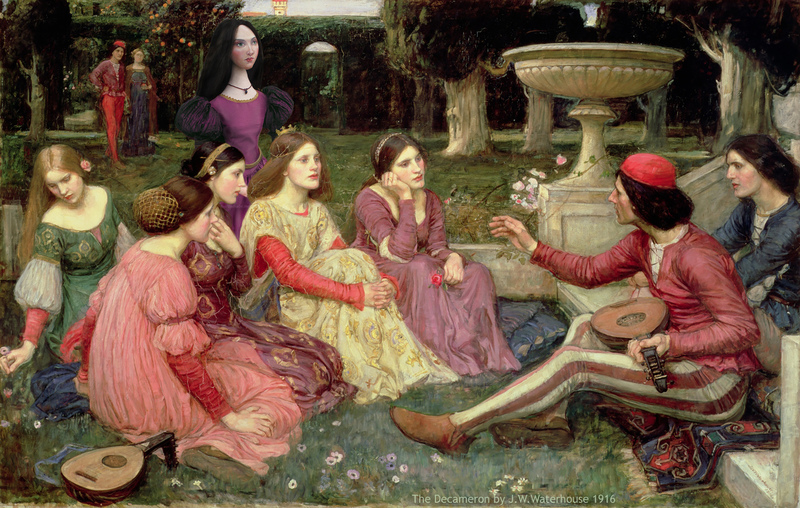 Muse listening to the tales of The Decameron, in a painting by J.W. Waterhouse. John William Waterhouse was born in 1849, a year after the Pre-Raphaelite Brotherhood was formed, he was a child at the time of the PRB heyday, so was not a Pre-Raphaelite artist, as he is often mistaken for. His parents, William and Isabella Waterhouse were English painters living in Rome, where John William spent his first six years. Immersed in Roman classicism and growing up in an art laden family he read the classics and Greek mythology, building his own imaginative library for future paintings. His father initially taught him to paint before he was accepted at the Royal Academy schools in 1870 aged 21. His early works were of classical themes in the spirit of Alma-Tadema and Frederic Leighton, he made regular trips to Italy where he painted scenes of everyday life and works inspired by the mythology of ancient Greece. By 1874 Waterhouse was exhibiting annually at the Royal Academy, the Society of British Artists and the Dudley Gallery where his paintings were bringing in favourable reviews. In 1883 he married Esther Kenworthy, who was 25 and a floral painter, also exhibiting at the Royal Academy. The newly married couple lived in an artistic community in Primrose Hill, where they associated with members of the French-influenced Newlyn School. They had two children but, tragically, both died at a young age. 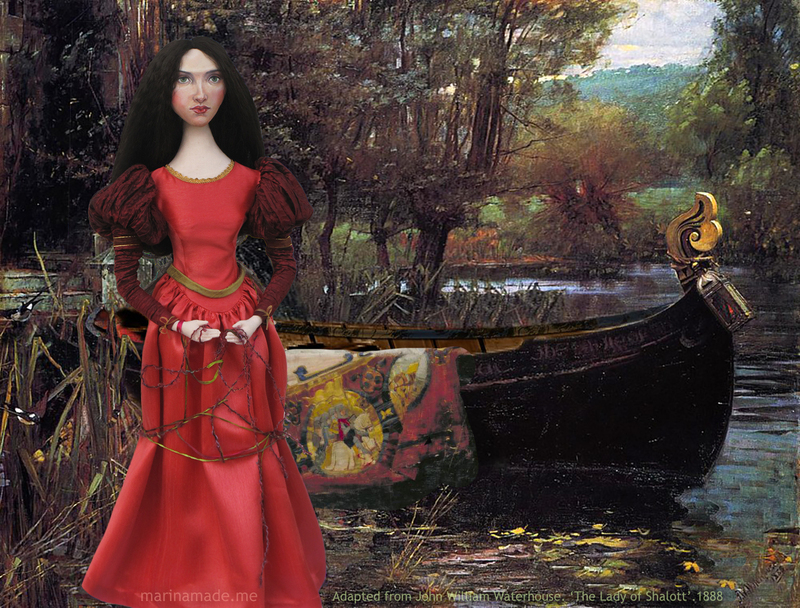 Lady of Shalott muse imagining an encounter with Sir Lancelot and remembering lost love. In 1884, Waterhouse’s submission to the Royal Academy, ‘Consulting the Oracle’ was purchased by Sir Henry Tate, and in 1888 he also purchased the Lady of Shalott, which still hangs in Tate Britain today. 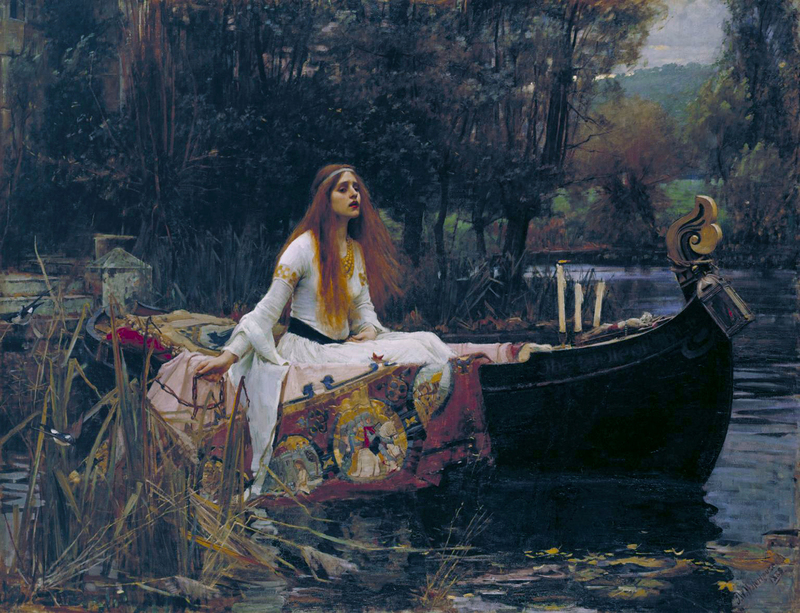 “The Lady of Shalott”, 1888 by John William Waterhouse. 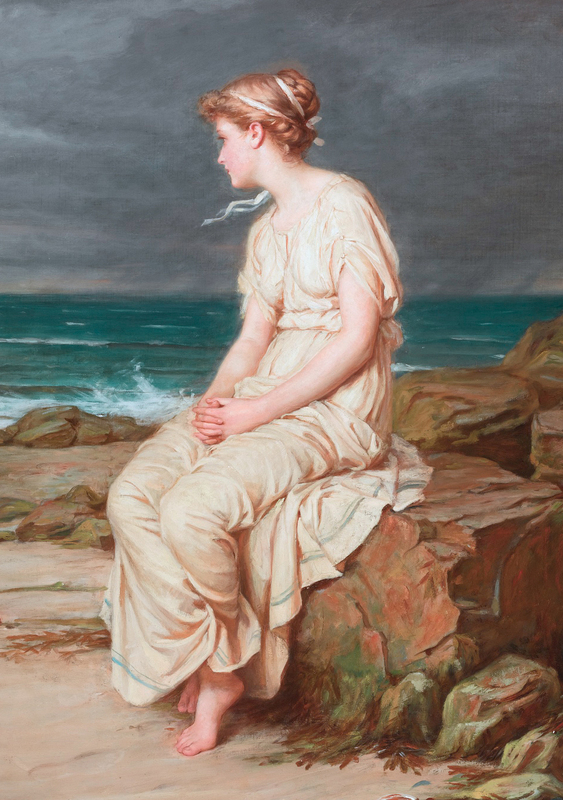 Mary Waterhouse Somerville is believed to have been the model for this Waterhouse painting. These paintings reveal Waterhouse’s growing interest in themes associated with the Pre-Raphaelites, particularly tragic or powerful femmes fatales. 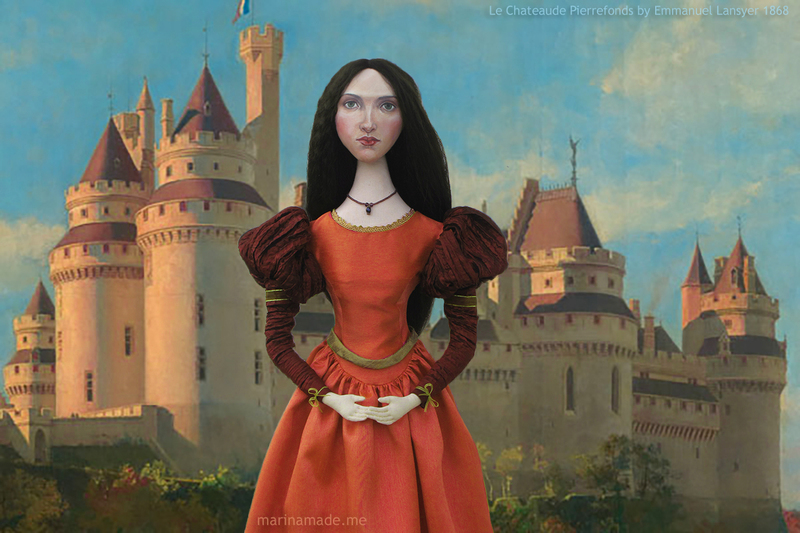 He developed his own distinctive style in which romanticism and classicism synchronise and fantasy and reality combine. J.W. Waterhouse, “Ophelia” 1889, the first of three versions. His comparability to Pre-Raphaelitism was that of subject matter and richness of colour rather than detail or degree of finish. 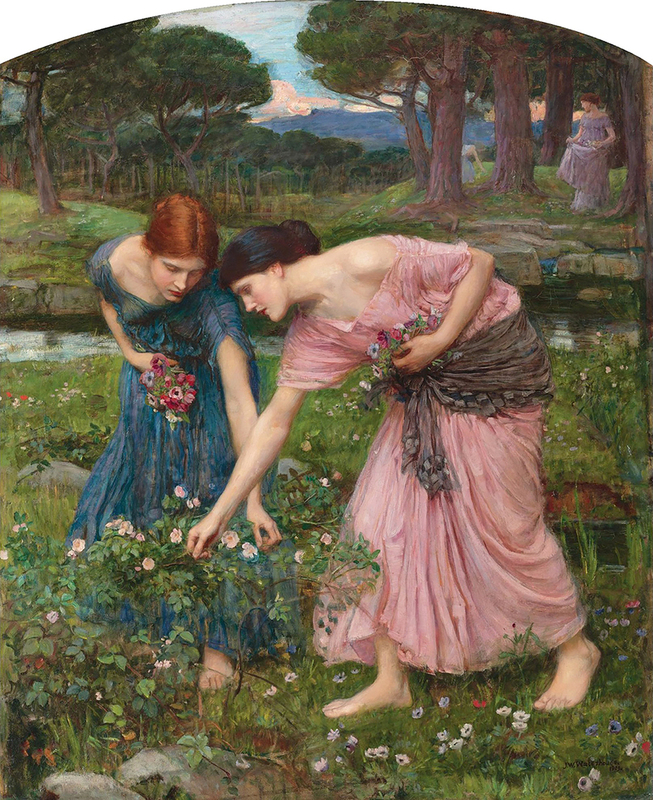 Some of the landscapes in Waterhouse’s paintings are loose in style and are more akin to French. contemporary art and painters such as Corot, than those of his High Victorian predecessors. He was criticised in his own time for looking too French, all those ‘en plein air’ glades and open brushstrokes, yet he was also disapproved of by other critics for being too classical and painting too many women. 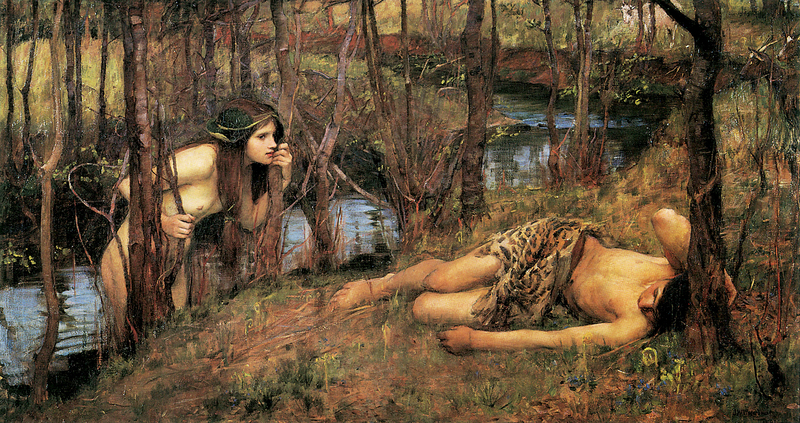 “Hylas with a Nymph” by John William Waterhouse, 1893. As a classical, romanticist painter, Waterhouse interpreted characters from legends, poetry and mythology with a highly imaginative perspective. Almost all his paintings included beautiful girls or young women, who were painted with a cherished earnestness and sometimes a hint of sexual allure. However there is no evidence to suggest that he had relationships with any of his models. Flora and the Zephyrs 1897, John William Waterhouse. It is widely accepted that Waterhouse was a quiet man with none of the “private passions” and turbulent home life which characterised many of the Pre-Raphaelites and modern painters alike. He was also very private and left no diaries, journals or information about himself. 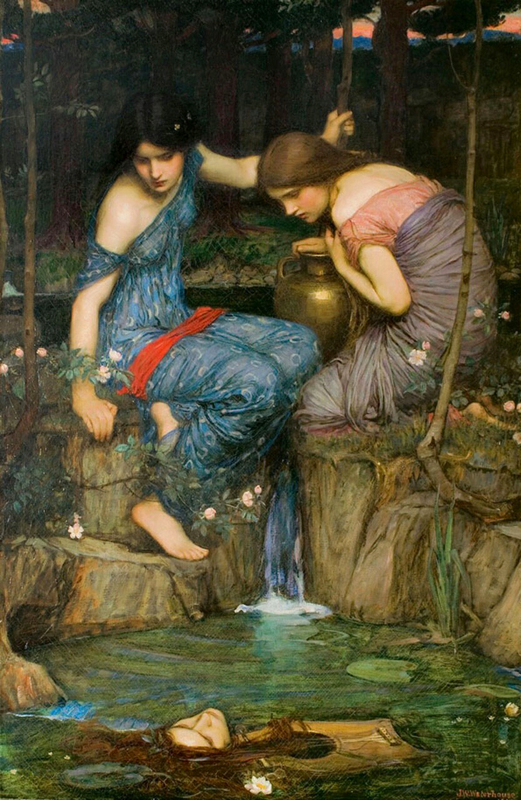 Waterhouse was one of the rare artists who became popular and relatively well-off while he was alive. He continued to paint until his death on the 10th of February, 1917 after suffering a long illness, thought to have been cancer. During his life as a painter he was successful in his ability to condense a myth or poem through the captivating portrayals of his mesmerising muses, drawing us into his visual fantasy. “Gather Ye Rosebuds While Ye May”,1909, J.W. Waterhouse. 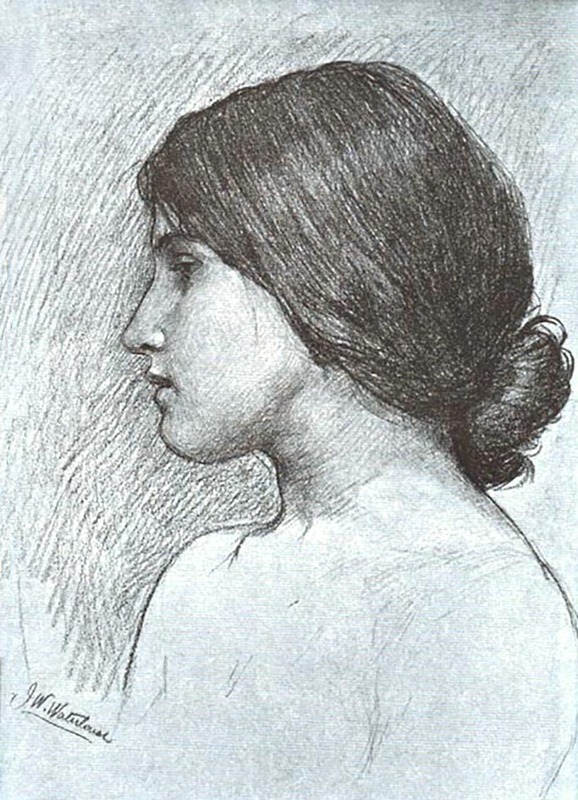 Charcoal drawing of a girl, by J.W.Waterhouse. Study for a nymph in “Hylas and The Nymphs” in chalk and charcoal, by J.W. Waterhouse. 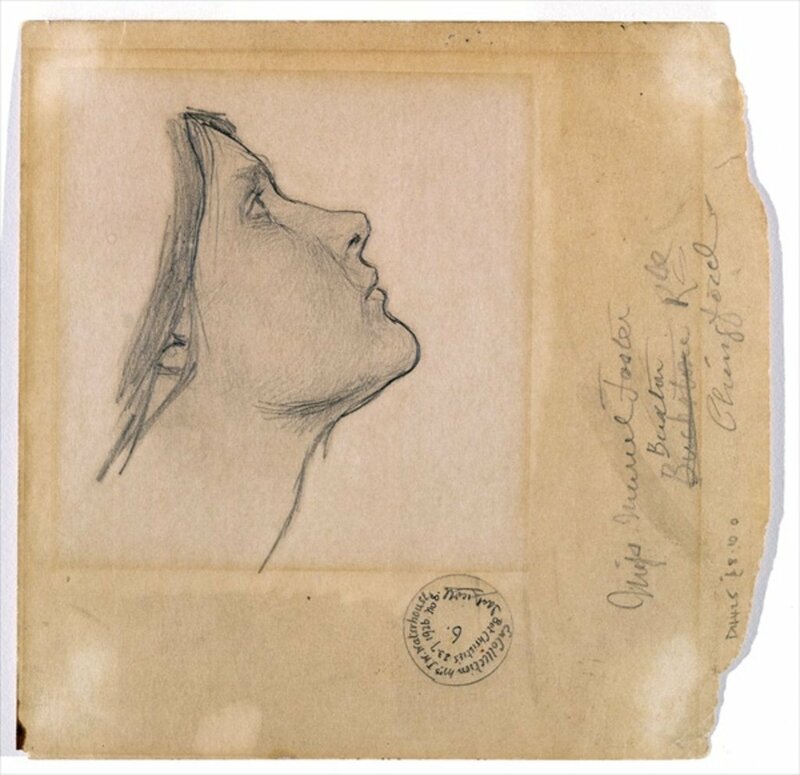 Head Study for “A Tale from the Decameron”,1915 by J.W. Waterhouse. 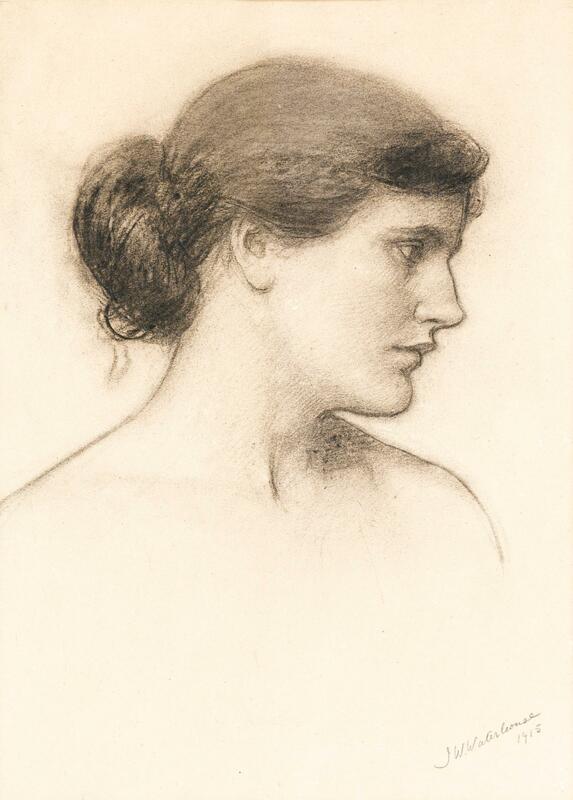 Charcoal Study For “Flora” 1897, by J.W. Waterhouse. 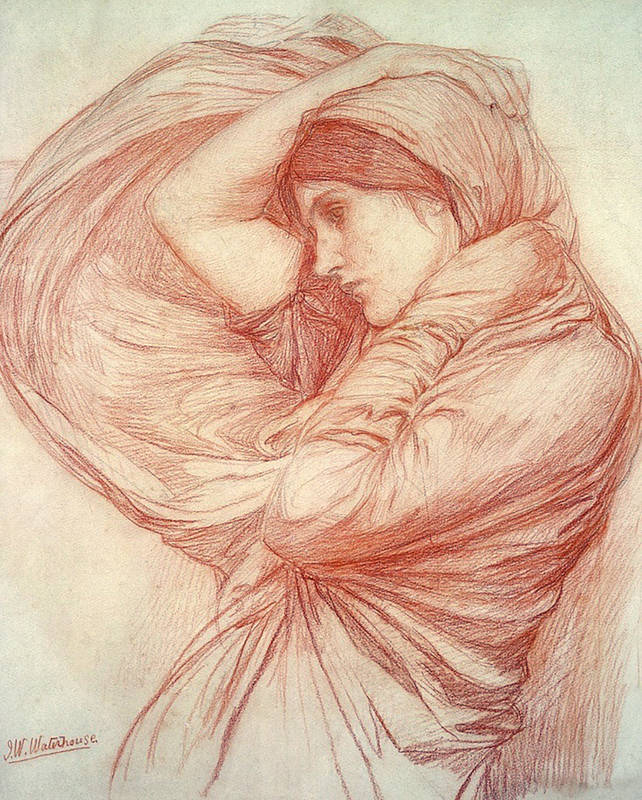 Study for ‘Boreas’ in red chalk by John William Waterhouse. Red chalk drawing, by J.W. Waterhouse. 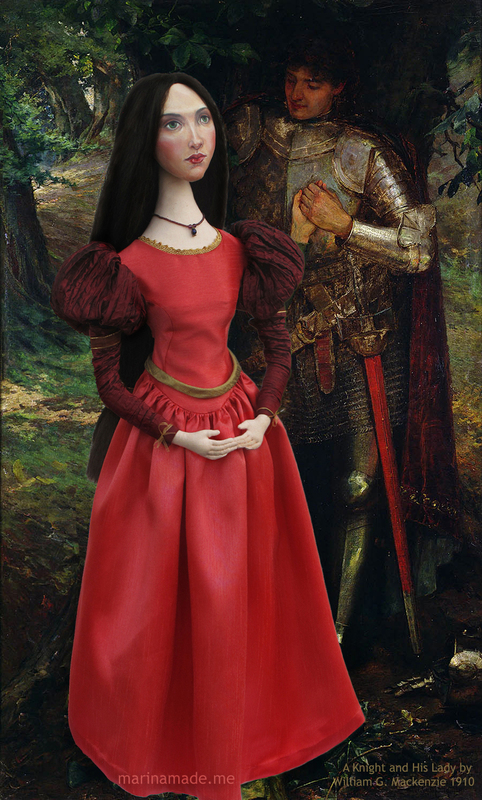 There has been a lot of speculation about the identity or identities of Waterhouse’s models, even the possibility that there was only one, maybe a secret lover, who appeared in different guises. 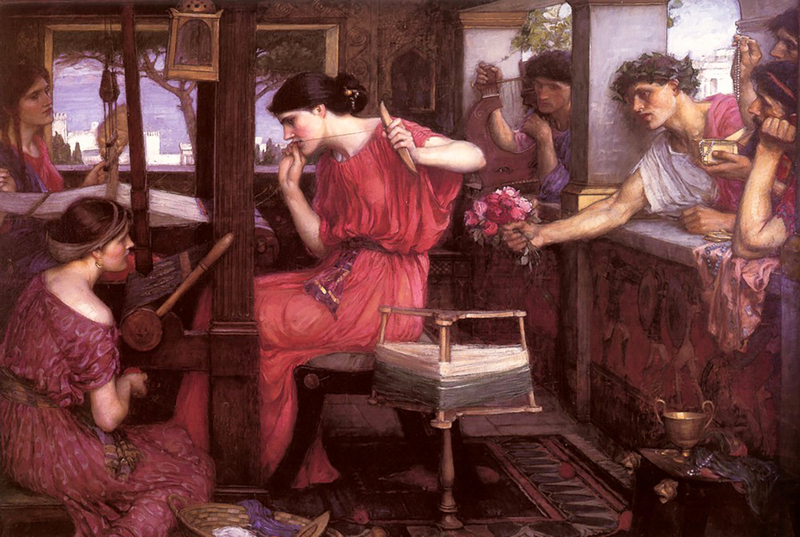 The suggestion of a clandestine Victorian love affair would have been fitting for the romantic wistfulness of Waterhouse’s paintings, however the likelihood is that they were not the objects of his passion, he chose his models to be subjects of his own romantic vision, they were his muse. It was a style he designed and evolved, making beautiful girls conform to a certain look; pure, innocent and ethereal, with luminous porcelain skin contrasted by dark eyes and black or auburn hair. There is no evidence that any of the models were his lovers. J.W. Waterhouse “Saint Cécila” 1895. The two winged musicians are thought to be modelled by Muriel Foster. Esther Kenworthy, the artist’s wife, painted by Waterhouse in 1885. Detail of “Miranda” 1875, one of Waterhouse’s early works where his sister Jessie is thought to have modelled for him. 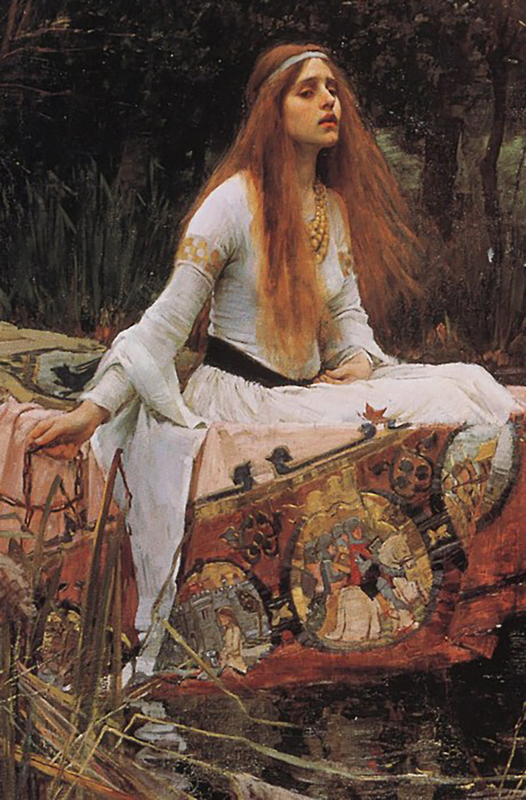 Lady of shalott 1888 by J.W. Waterhouse, detail. Family and friends sat for him in his early career and his sister Jessie is thought to be one of his first models, appearing in ‘Miranda’ and ‘Whispered Words’ in 1875. Mary Waterhouse Somerville, his sister-in-law, is thought to have posed for the 1888 (Tate) version of “The Lady of Shalott” and his wife Esther also sat for the artist. Little is known about the models that Waterhouse used most frequently, as there were no records kept. However, by chance in 1981 a name and an address was found on the back of an envelope alongside a pencil drawing of a young woman, the name was Muriel Foster and the sketch was a study for Lamia. 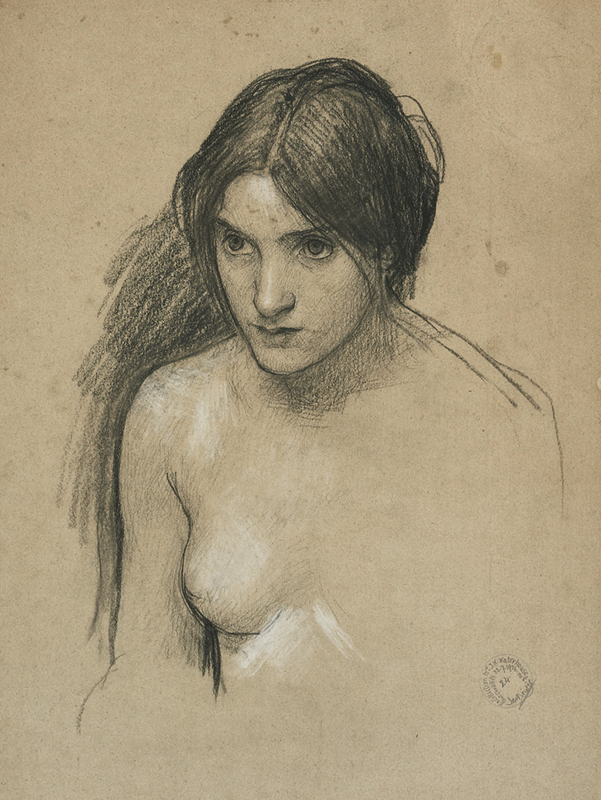 Study for ‘Lamia’, c.1904-05, pencil on paper by John William Waterhouse. Muriel Foster’s name can be seen with her address in Chingford, Essex. 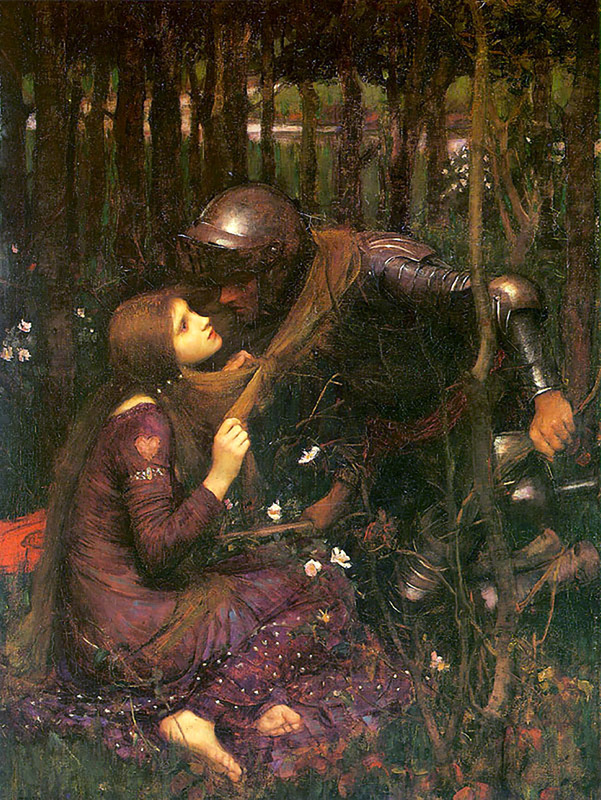 Waterhouse first painted Muriel in 1893 as the femme fatale in “La Belle Dame Sans Merci” when she was still very much a young girl, around fifteen. Muriel also featured as the two angels playing stringed instruments in “St Cecilia” in 1895 and is thought to appear as some of the nymphs in “Hylas and The Nymphs” in 1896. She modelled as “Lamia” in 1905 and Waterhouse continued to paint her feminine beauty periodically until the end of his life. 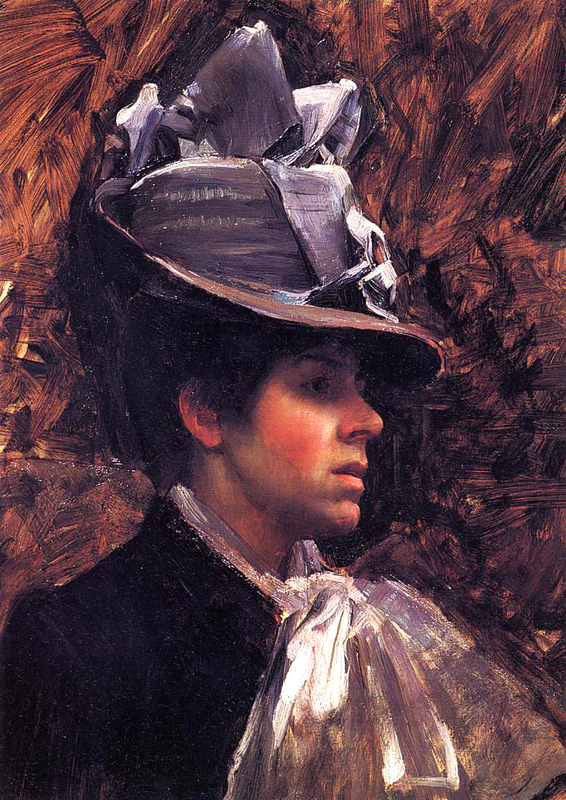 Muriel was one of a small group of favourite models that Waterhouse chose to paint during his artistic career; sometimes their appearance would merge with another to form the ideal type, the hair colour would change from red to auburn, dark brown to black depending on the drama or mood of the painting. 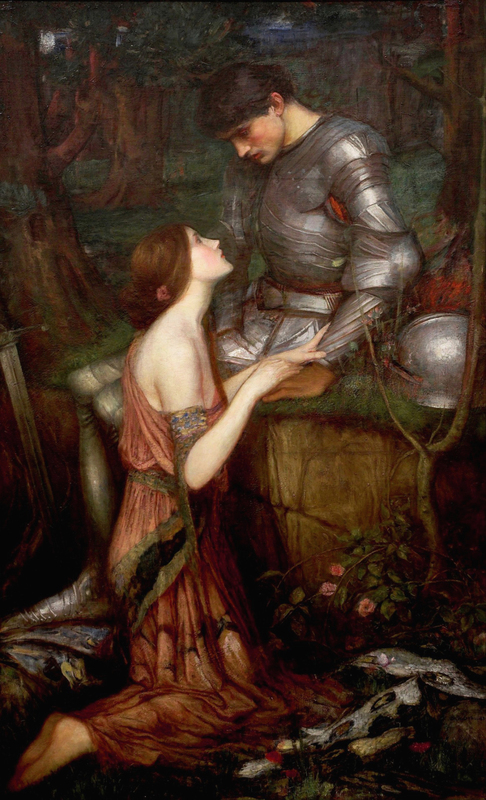 “La Belle Dame Sans Merci” by J.W.Waterhouse, 1893. “Lamia”, by John William Waterhouse, 1905. 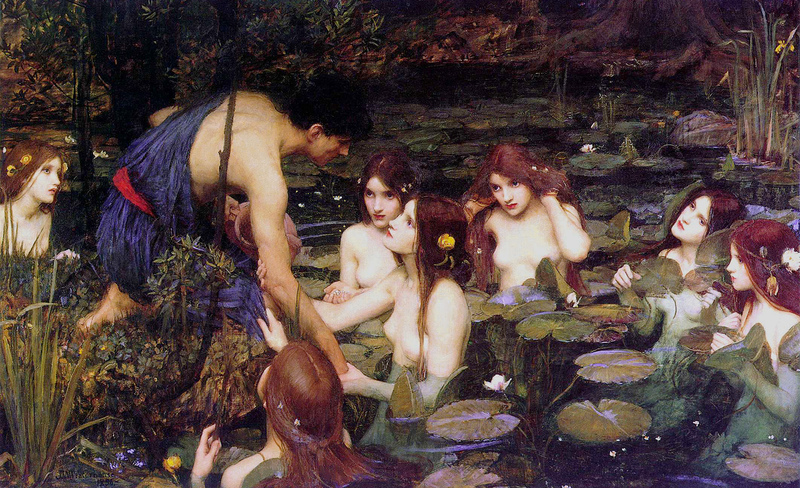 “Hylas and the Nymphs” by J.W.Waterhouse, 1896. 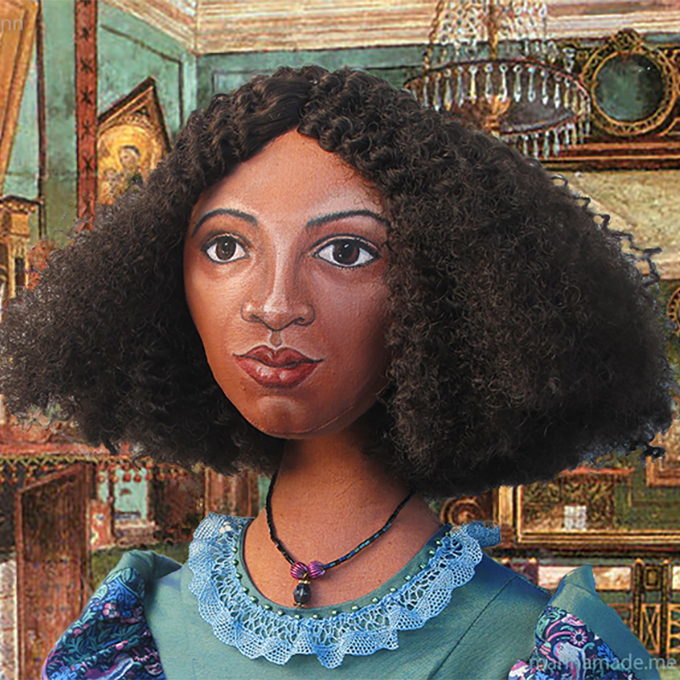 Muriel Foster is thought to have posed for some of the nymphs’ faces. 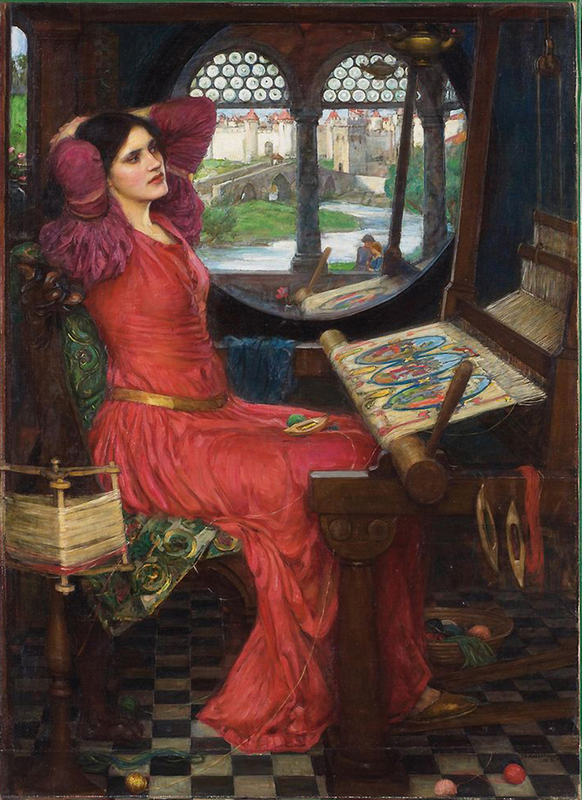 “I am half-sick of shadows, said the lady of shalott”, 1915 by John William Waterhouse. 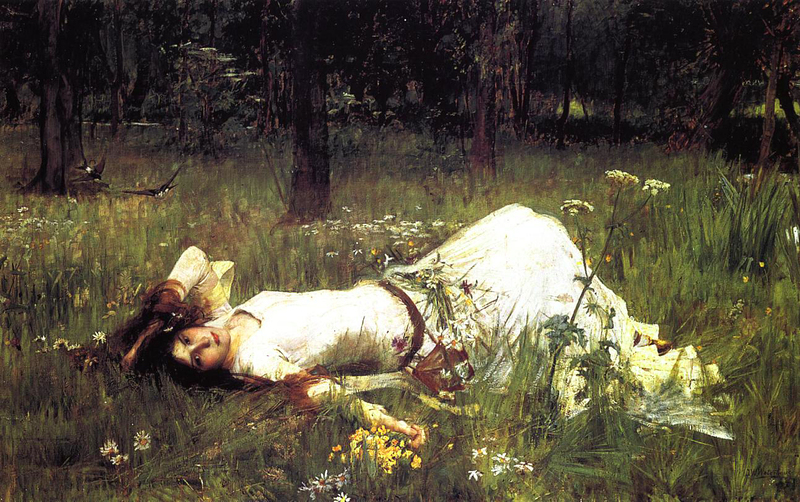 “Ophelia” by John William Waterhouse, 1894. 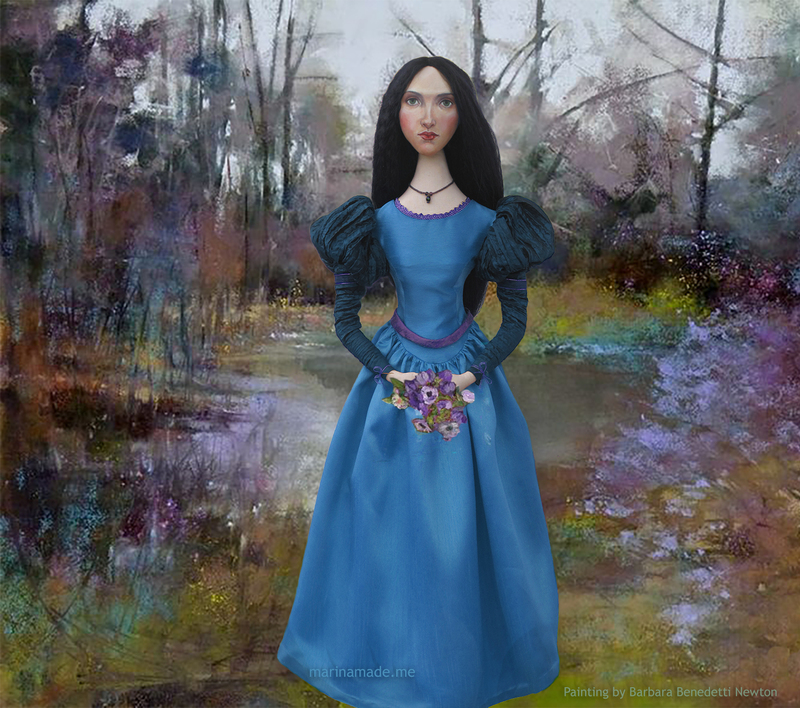 This is the last of three versions of Ophelia that Waterhouse painted. 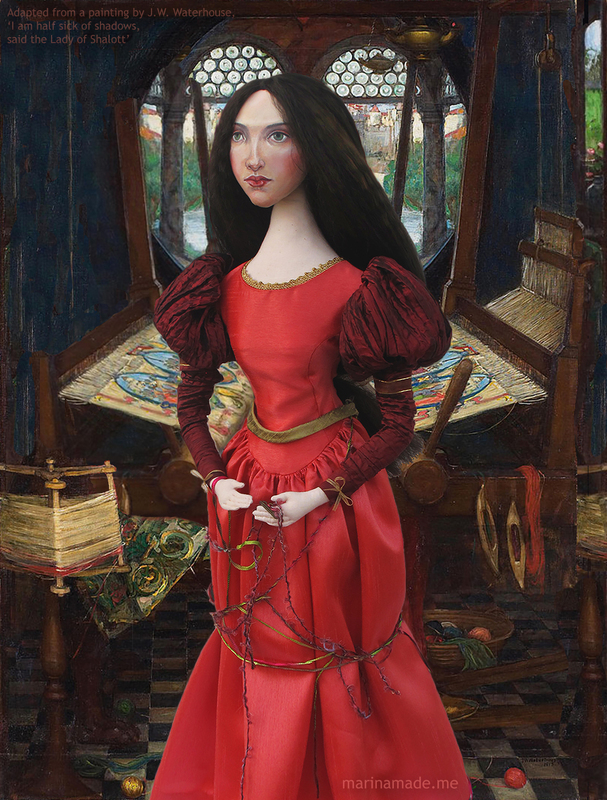 Beatrice Flaxman was another popular Waterhouse Model, who along with Muriel Foster, has inspired my “Lady of Shalott” muse. 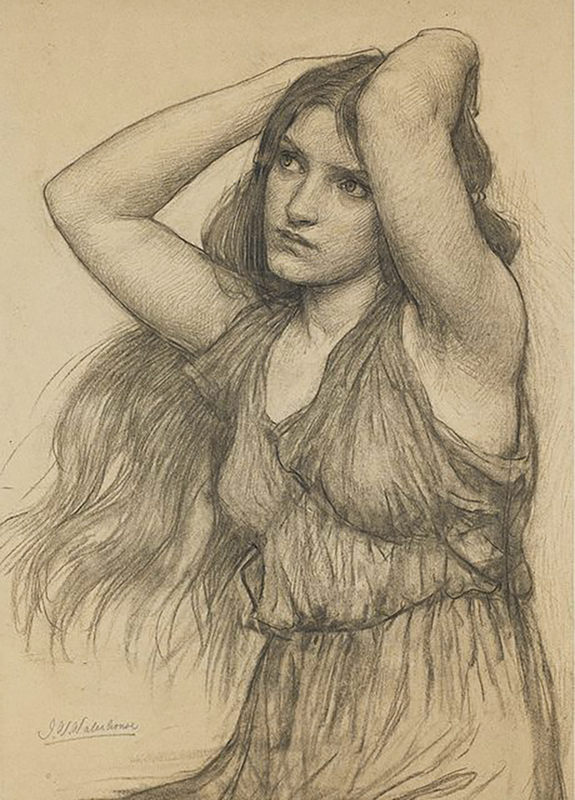 Beatrice modelled for Waterhouse from 1906 – 1916, appearing as strong and dramatic female characters from literature and mythology. She modelled for “Ophelia” in 1910, “Penelope and her Suitors” in 1912, the “Annunciation” in 1914 and “I am half sick of shadows, said the Lady of Shalott” in 1915. 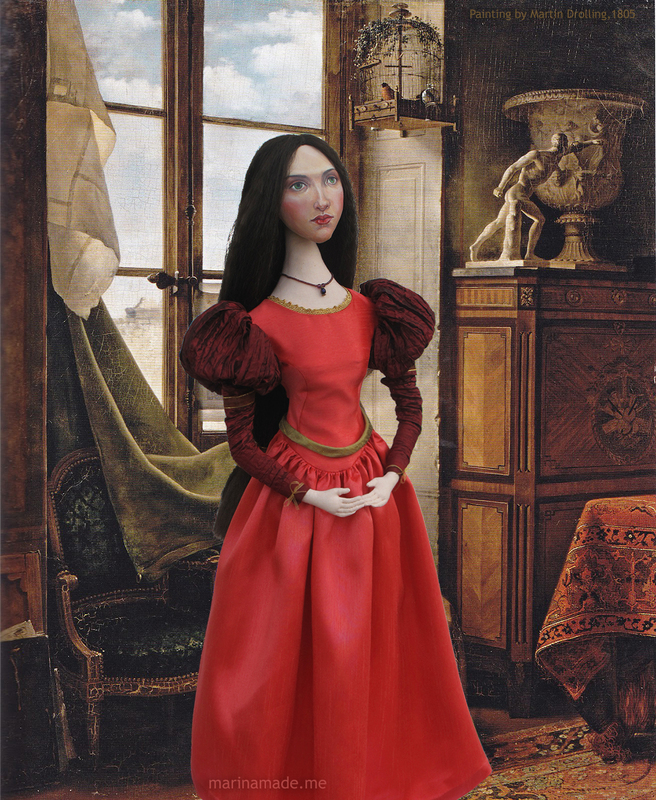 In my opinion there are other paintings where her likeness can be seen, but there are no written records to confirm this. “The Danaides”, 1906 by John William Waterhouse. 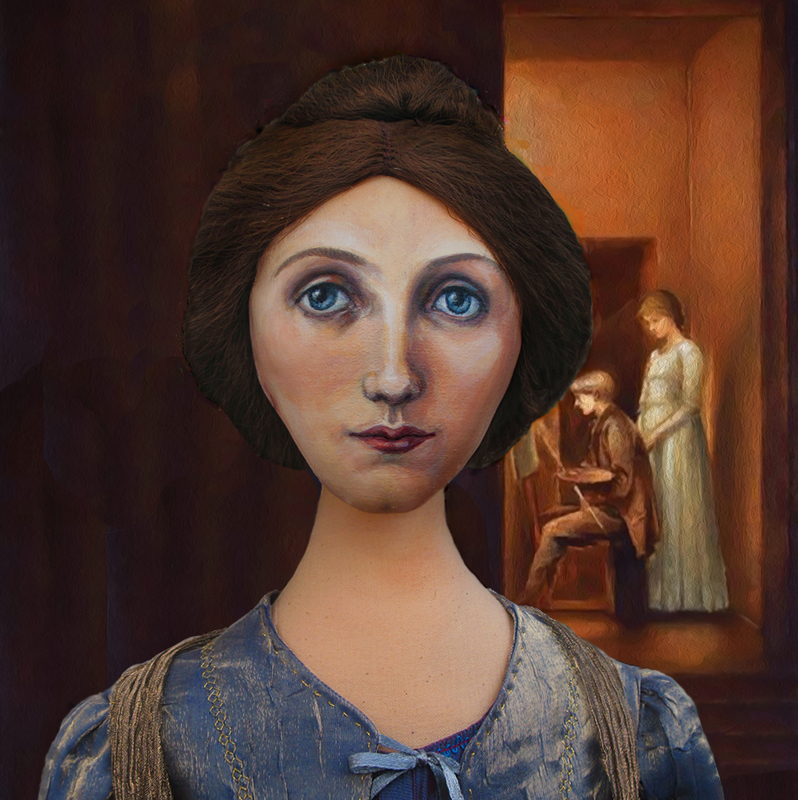 I can see the likeness of Beatrice Flaxman possibly in two of the faces. 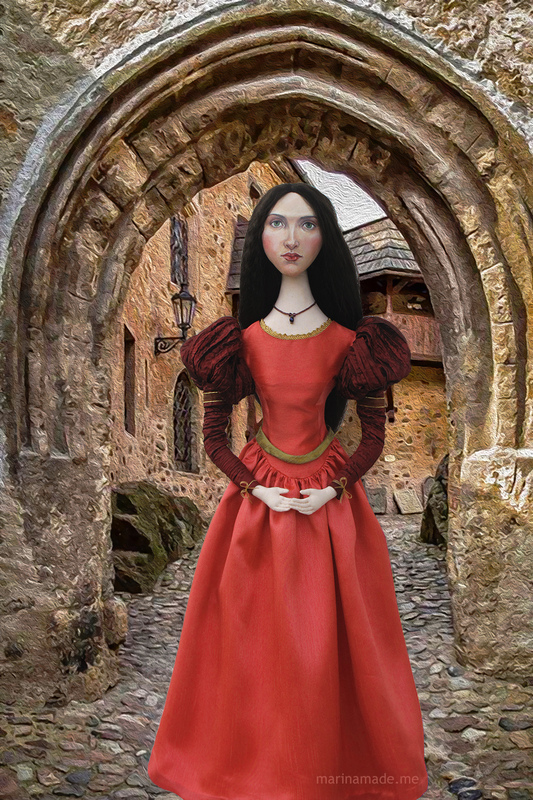 Gwendoline Gunn was the daughter of Waterhouse’s close friends, Marcus and Mary Eliza Gunn. They holidayed together regularly on the Devon coast, and it was natural for William to make sketches of her. 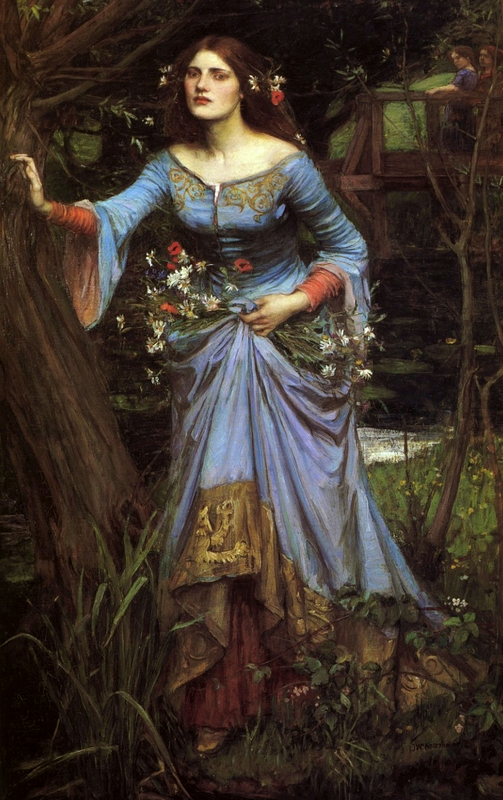 Gwendoline was a classic English beauty who inspired William Waterhouse, she modelled for “Nymphs finding the Head of Orpheus” in 1900, “Psyche opening the Golden Box” 1903, and Psyche opening the door to the Enchanted Garden” 1903-04. Gwendoline became an intimate family friend and in her later years, she and her daughter took care of Esther Waterhouse until she died in 1944. 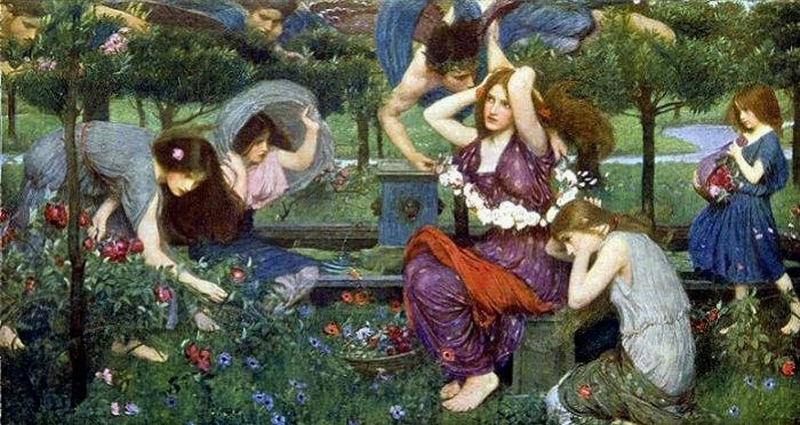 “Nymphs finding the head of Orpheus”, 1900, by John William Waterhouse. 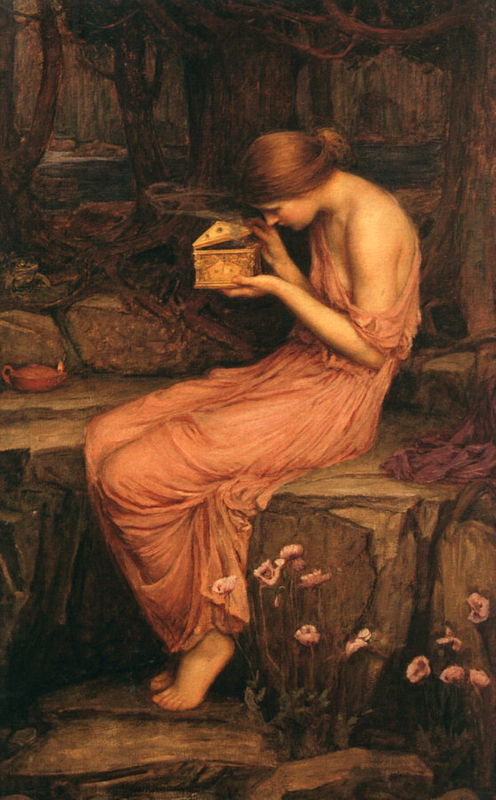 “Psyche Opening the Golden Box”,1903 by John William Waterhouse. The model is believed to have been Gwendoline Gunn. 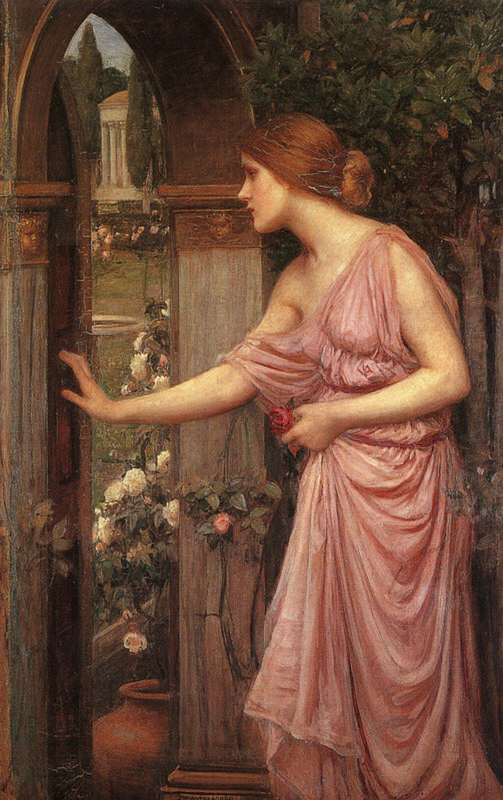 “Psyche Opening the Door into Cupid’s Garden” 1903, by John William Waterhouse. The model is believed to have been Gwendoline Gunn. ‘Miss Mary Lloyd’, Agnes Richardson and Edith Richardson. Some of the above names were of professional models, who posed for other artists of the time including, Lawrence Alma-Tadema, Edward Burne-Jones, Lord Frederic Leighton and George Frederick Watts. It is possible further information will emerge over time and maybe more of Waterhouse’s sitters could be identified. 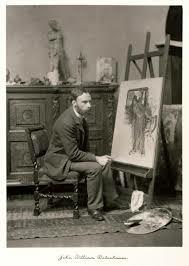 John William Waterhouse in his studio, by Ralph Winwood Robinson 1900. 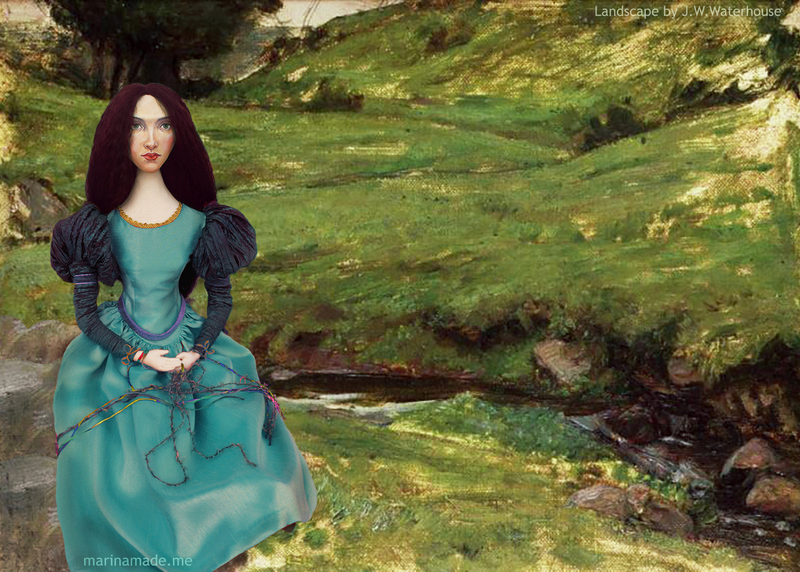 Waterhouse muse picking anemones in a woody Landscape, inspired by Waterhouse’s “Ophelia”. In conclusion, it is interesting to note that William Waterhouse was fascinated by the hypnotic power of female beauty from the beginning of his career to the end. His early depictions of beauty were like delicate ‘keepsakes’, complete in their own charm. Later his females were immersed into more elaborate settings, relating to Romantic literature and mythology, appearing as sirens, martyrs or nymphs enticing the viewer into his reverie. “Mermaid” by William Waterhouse, 1900. His final work developed the idea further, where the women in his paintings appear emboldened and they use their beauty and feminine wiles to tempt and destroy men. During this phase Waterhouse placed his femme fatales in a stylised world, landscapes that betrayed reality; his painting style progressed from Romanticism and found its place within the bounds of Symbolism. “Circe Invidiosa”, by John William Waterhouse, 1892. One of several femmes Fatales characters proposing menace and harm to an unsuspecting victim. “The Charmer”, by J.W.Waterhouse 1911. 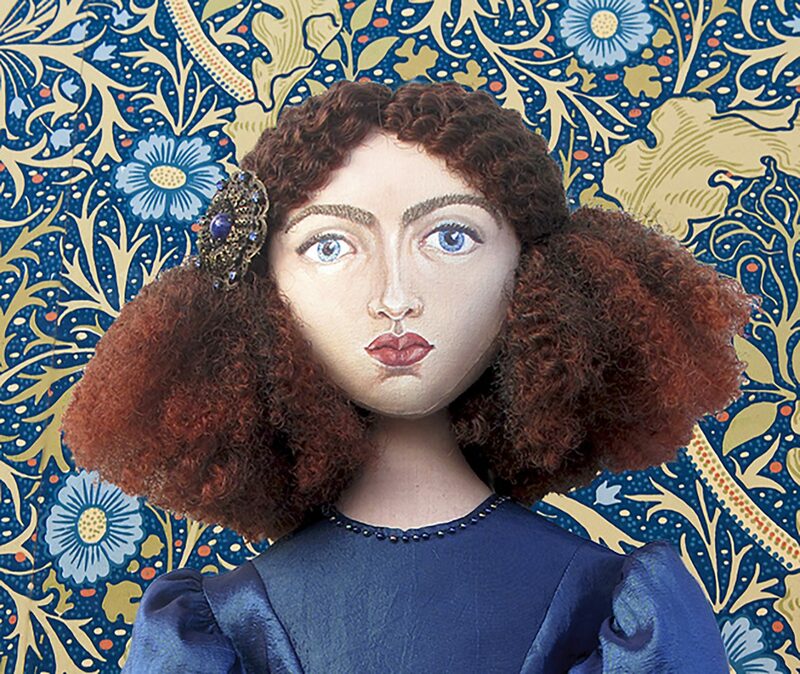 Interestingly the femme-fatale motif was prevalent in this period, at a time when women were expecting more from their lives and various social and political strategies were appointed to discourage and restrain women’s early strivings for equality. 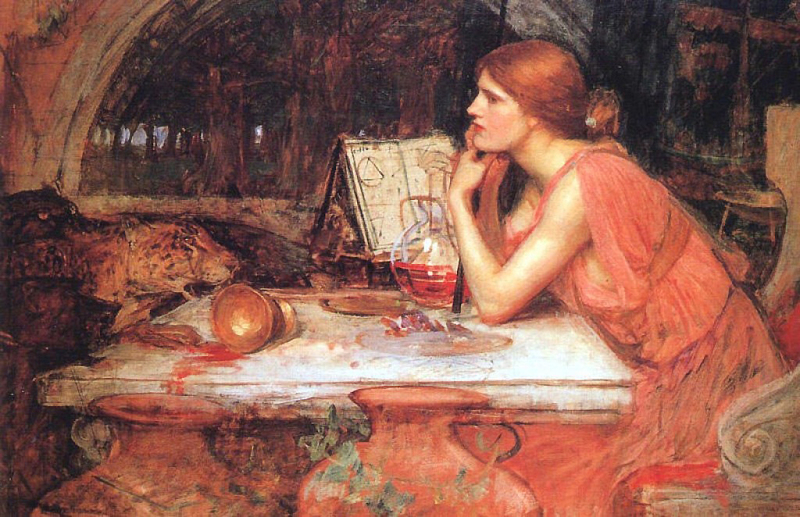 The Sorceress 1913 by John William Waterhouse. Georgiana Burne-Jones muse set against a painting of her by Edward Burne-Jones, 1883. 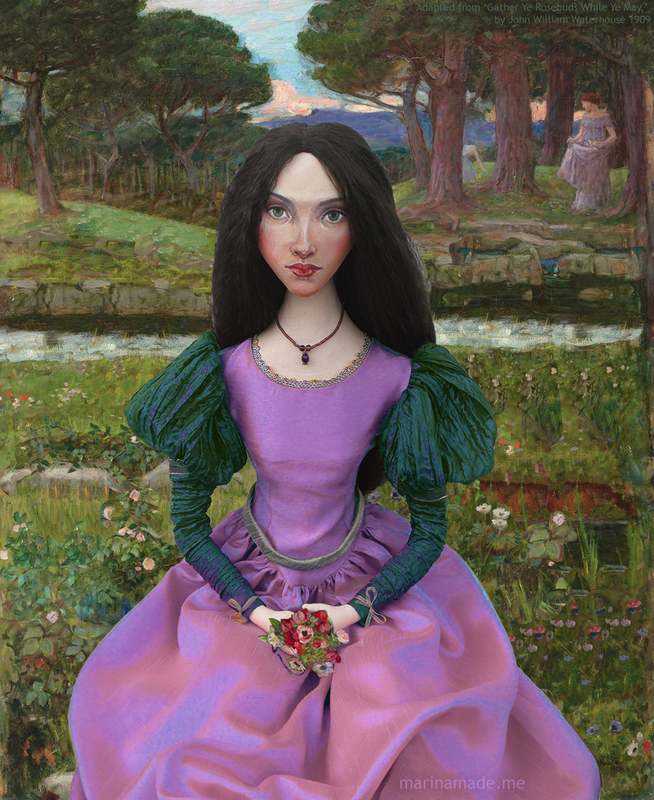 Muses of John William Waterhouse, interpreted and recreated by Marina Elphick. 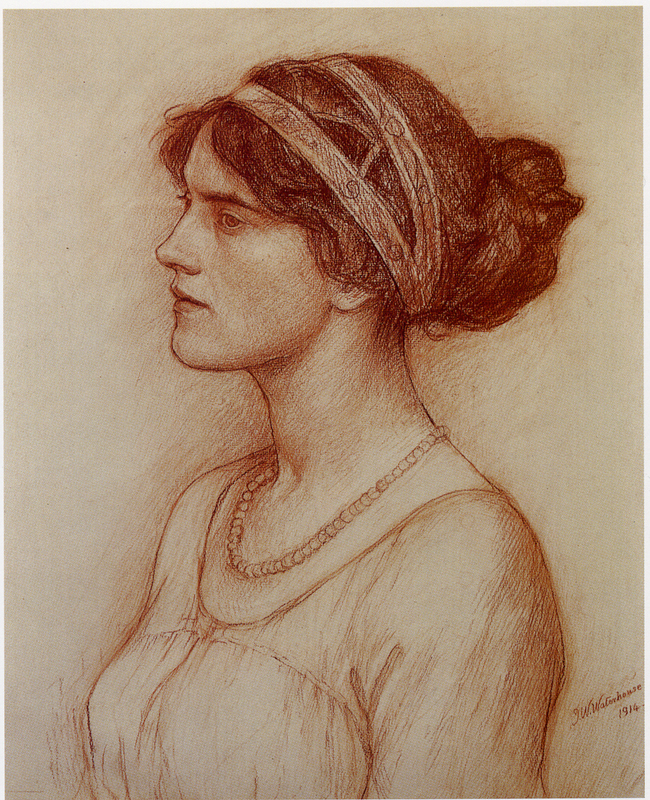 Another beautiful muse and a fascinating account of the painter J.W.Waterhouse. Marina your talent and patience for researching your muses has no end. Marina you are truly amazing..your talent and true love for your creations has no limit.. 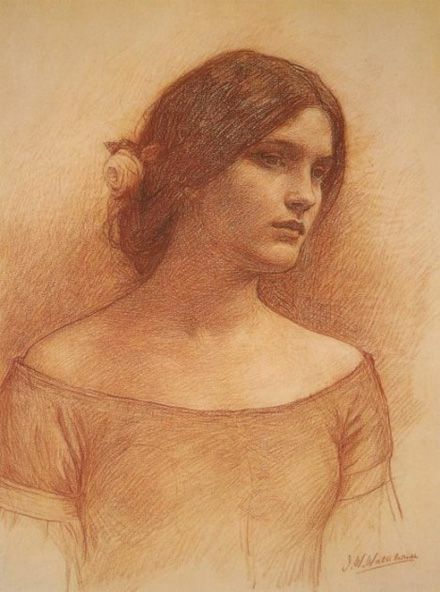 Thank you so much for this interesting and valuable information, how wonderful to be able to trace back and discover your family is related to such a remarkable and well regarded painter as John William Waterhouse. Beatrice was a great beauty and obviously a good model. It is heartening to know that she and her son, your grandfather, were provided for and that the letters are in your possession. 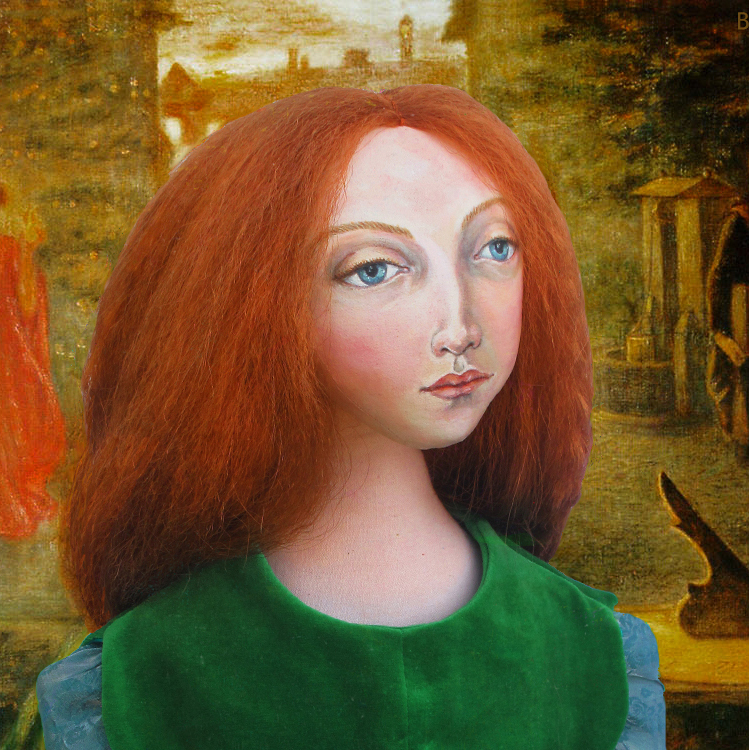 I have always liked the Pre-Raphaelites, their work inspiring much of my early work. J.W. Waterhouse was too young to be part of the PRB Brotherhood, but he had a unique style and translation of that romantic PRB genre. In many ways I believe his loose “en plein air ”painting method give his muses more life and have made them more accessible to the modern audience. 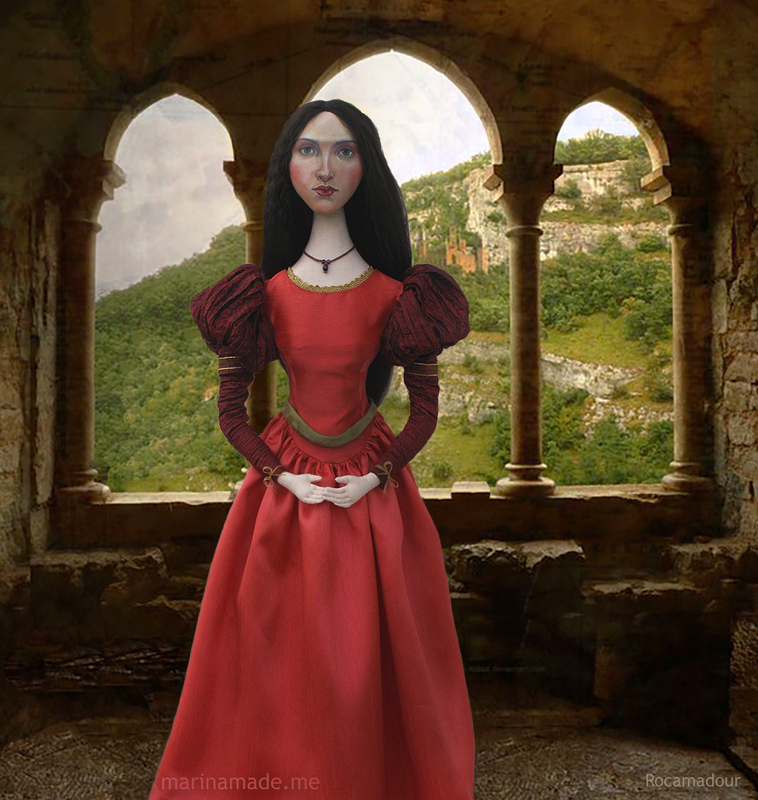 Beatrice in particular has a timeless beauty and despite the mythical and Medieval themes she has the look of a contemporary woman. Thanks for your insight, it is certainly revealing information.